My life was a mess. I used to weigh around 90-95 kgs. I used to eat a lot of junk food. I used to drink and smoke a lot. Being a 25-year-old, I was surrounded by my kind of people and everybody was into this grave lifestyle. There was absolutely nothing active about me. I had no physical activities like playing a sport or going to the gym. On the work front too it was sedentary. I worked for a financial services company and most time I was confined to my desk. Also, the work was stressful. To add to that, an incident took place in my personal life and that led me to a terrible depression. I was completely down and out but, I was also aware that I had to do something and get back on track. 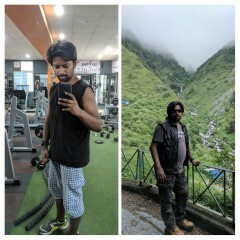 The only way I could think of getting back was through fitness. So I knew about Fitbit, Mi band. I looked up for more information on these products and while researching I came across GOQii. On reading about GOQii I found that this band comes with a coaching facility. I read reviews on GOQii but, I do not go by reviews. I was clear I needed someone at that point in life to talk to me, motivate me and get me back on the right track. I got myself GOQii and Amy Shah is my coach. I realised a qualified professional will be able to answer my queries well and also help me positively. I knew it wasn’t going to be easy for me but, there is always hope and things to do get better. It’s one of the best things that has happened to me so far. It’s been over 5 months since I am on the GOQii platform and its worked wonders for me. I am completely out of my depression. I have stopped eating junk food. To be precise two things that have completely changed for me is my smoking and drinking. I have drastically reduced my smoking and also I only drink occasionally from the earlier alcohol consumption and binge drinking. I have lost around 5 kgs. Ideally for my height of 5’ 8” my ideal weight should be around 70 kgs I am told. I am working towards it. 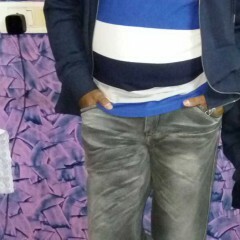 My health goal when I got on board was one was to reduce weight and the second one was to get out my vices completely. I have kind of achieved both partly. I haven’t been able to quit smoking completely but it has drastically reduced. I am eating better and healthy. I have started eating salads and sprouts and eat 6 meals a day. My coach has also been able to get me do some exercises. I make sure that I run on the treadmill for at least 20 minutes daily. I have started taking the public transport to work instead of driving so there is some amount of walking and I am able to clock at least 7000 steps on an average daily. Inspired by GOQii and the lifestyle change that I am myself trying to bring about within me, I started my venture Yum Box, which serves organic and healthy fast foods. Since I used to gorge a lot on junk fast food when I was making the change to healthy food, I realised there was very little healthy snacking options. There are many like me who like to do some exercise and would like to eat some fast food. So I discussed with my brother why not start something that is organic and healthy and yet tasty. The idea was well accepted by few others as well. And that is how Yum Box in Gurugram (Gurgaon) started. We provide free home delivery and its organic fast food which is preservative and chemical free and have a wide range menu and start with an all-day breakfast and have orders till dinner. We have pasta, salads, sandwiches, noodles and this is 100% chemical free and we tend to use olive oil whenever possible. 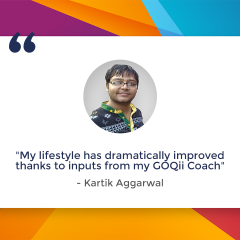 I feel GOQii for someone like me is apt because it keeps me motivated at all times, thanks to the coach. The only factor that helps me get up in the morning is my coach and I believe that it’s my turn now to support her and show her that I can do it and that I live up to her expectations. I have done so far and intend to continue this. What does coach Amee Shah have to say about her player Ritesh Sharma? 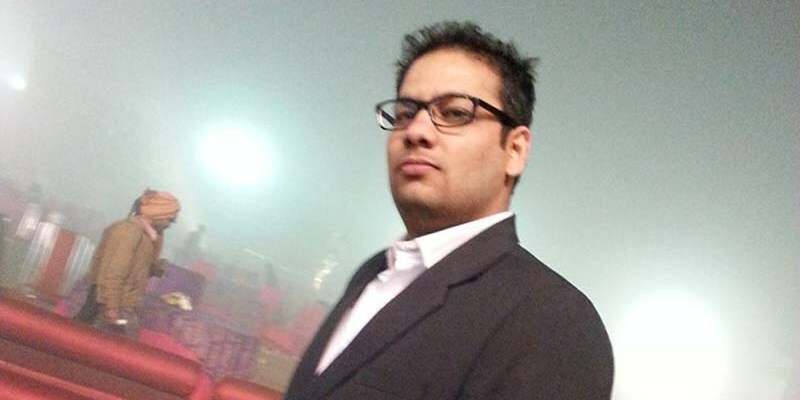 When Ritesh started with GOQii, was a heavy smoker with a completely erratic life schedule with low activity levels. I got him to start walking and also reduce his driving and take public transport. He followed what I said and this has also helped him reduce his smoking quite a bit. He now follows a regular exercise regime which includes walking daily. He has also regularised his eating pattern and stopped all junk foods. 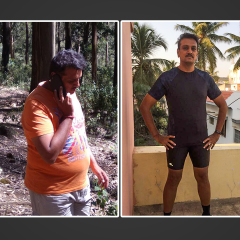 He was so influenced by the GOQii lifestyle that he founded an organic health food startup in Gurugram (Gurgaon) and is highly motivated to maintain his own health and that of everyone around him.